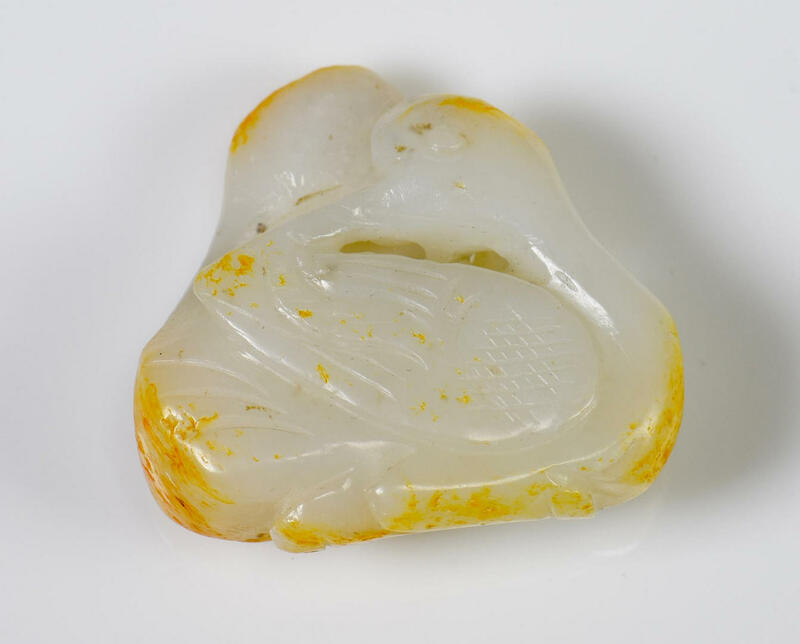 1st item: Chinese white jade carving depicting a cicada with scattered caramel colored inclusions. 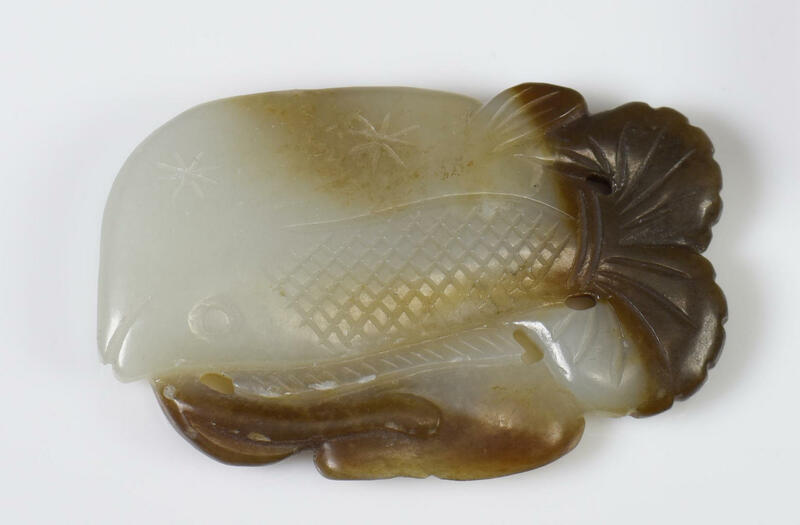 2-1/4" L. 2nd item: Chinese light celadon jade carving depicting a goldfish with lingzhi mushroom having scattered brown inclusions. 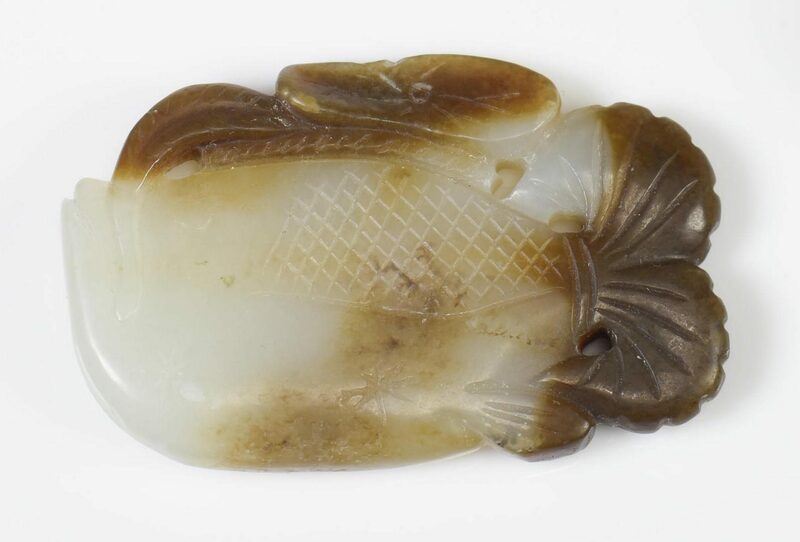 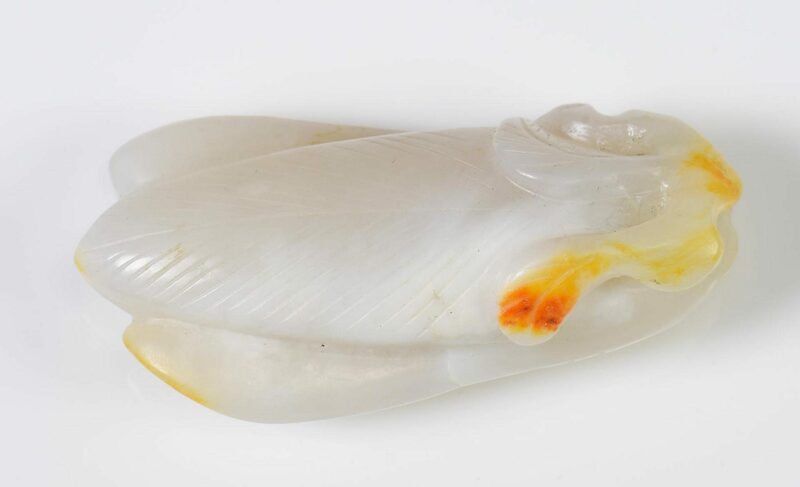 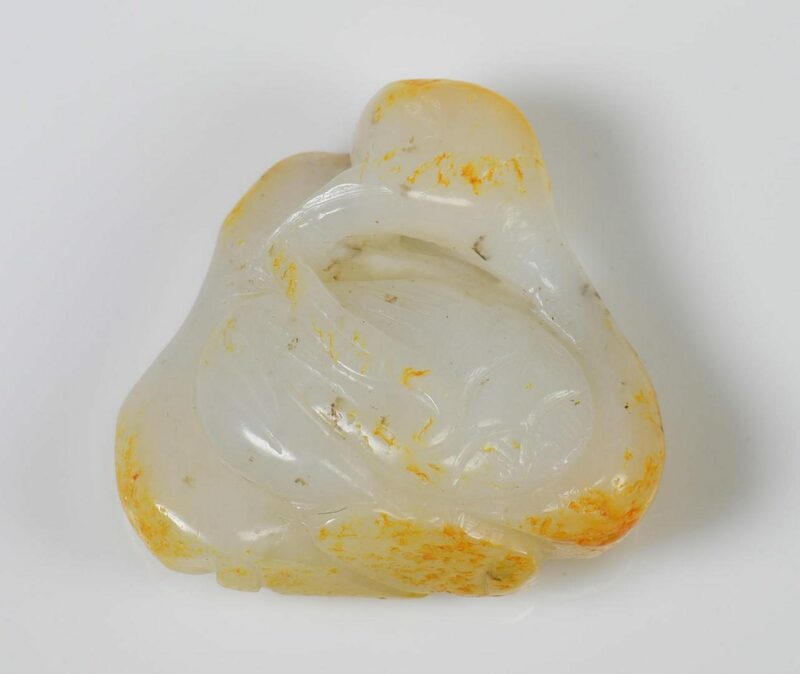 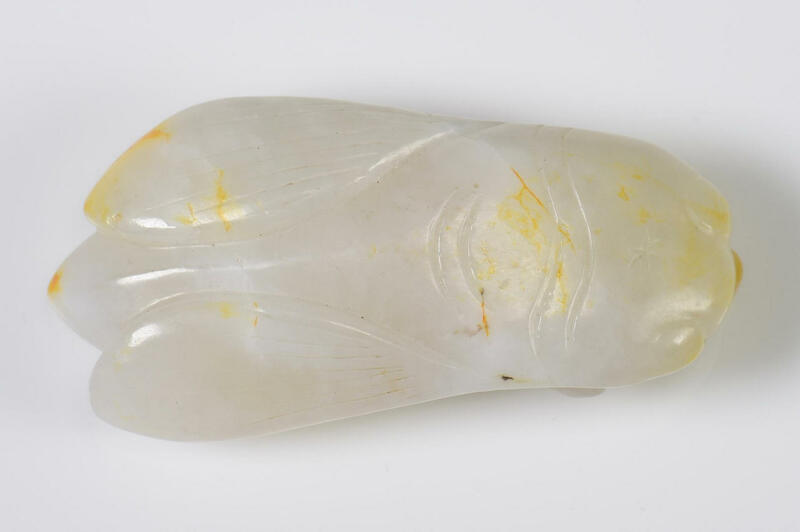 2-1/8" L. 3rd item: Chinese white jade carving depicting opposing birds with scattered caramel colored inclusions. 1-5/8" L. All pieces 20th century. 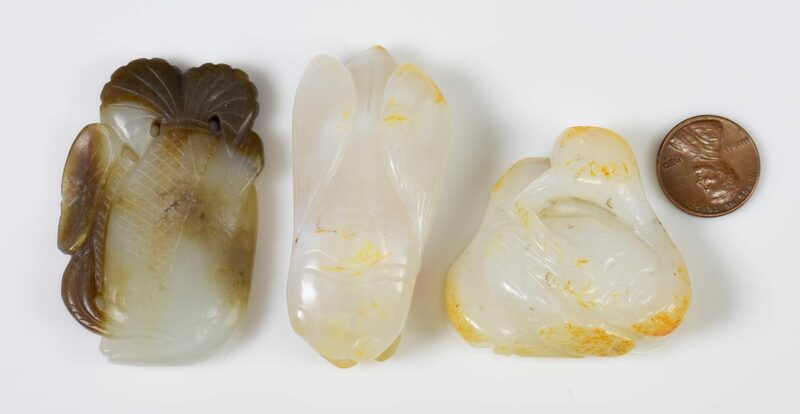 CONDITION: All very good condition.